•The vests are completely lined in the highest quality phase change material available. •LIGHTWEIGHT! 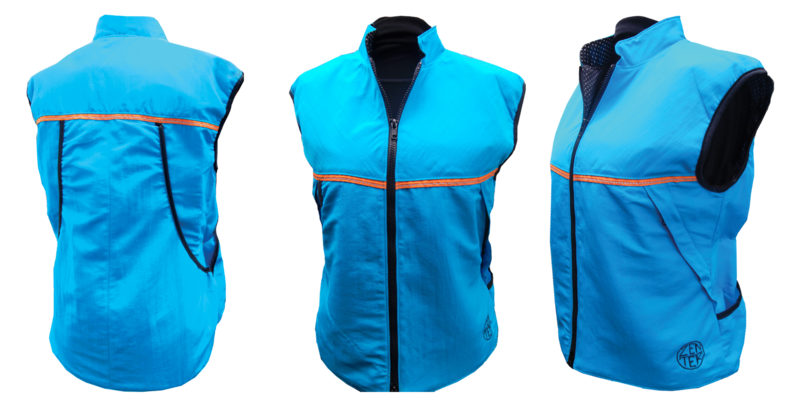 Zentek vests are less bulky than those made with traditional synthetic insulators and are both fashionable and functional. This garment weighs 16-25 ounces, depending on size. •Never wears out! Always ready to use! They can be safely laundered when necessary and do not lose their effectiveness. •This vest features soft, nylon Taslon fabric in your choice of fashionable colors, and is available in sizes XS to 2XL. •POCKETS! This vest features two front zippered pockets on each side, plus two more patch pockets. Originally designed for dog trainers,it is now used for traveling, and medical needs. You will always have what you need at hand. A large, convenient pocket on both sides of the outer shell is divided into one small upper and one large lower compartment. A deep dove shelf pocket on the back provides ample storage for a water bottle or other supplies, and is stitched in the center to create two equal compartments. 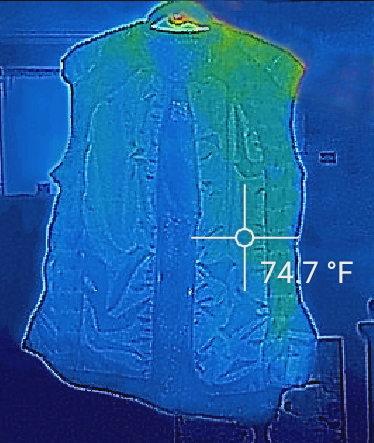 •Developed by NASA scientists for use in space suits, phase-change technology (PCM) absorbs energy to cool the body when it's hot, then releases the stored energy as heat when the body gets cold. Creating the perfect outdoor enthusiasts must have gear! Actual Measurements of vest above - please take your measurements and add 2-4" for a closer of looser fit. Product is excellent, although I could have used some kind of instructions telling me if I needed to do anything to make product ready to use -- if any. This vest keeps me warm and cozy but is so light weight I don't even know I am wearing it. This is the second one I have purchased. They help keep you cool in the summer too. Liked more than I thought I would. I thought that I would let you know how much I love this vest. I bought it at the January Puyallup show. I think I have worn it to work almost everyday since. Originally I bought this vest to help me keep warm at agility class, but soon found myself wearing it to/at work. I tend to be cold all the time, but wearing this has helped me to be more comfortable. I can't wait till summer/fall to try it out for hiking. Thanks a lot.